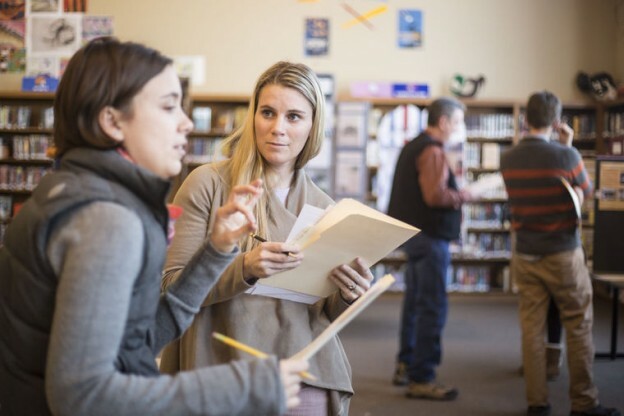 Carin Larkin, right, a Jackson Hole High School English teacher, goes over a student’s presentation with Rebecca Sgouros, of the Jackson Hole Historical Society and Museum. Georgia Eidemiller and Cyrena Keefe brought history to life last week when they performed their rendition of Buffalo Bill’s Wild West show. The two performed at Jackson Hole High School for National History Day, an event that has been hosted at the school since Georgia and Cyrena were babies. 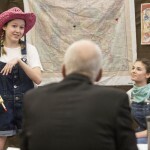 Now ninth-graders, the two actresses feel they have learned a lot about William “Buffalo Bill” Cody while working on a project that is part of the curriculum in their Honors U.S. History class. 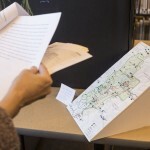 Students are free to fashion their project displays in whichever way they think is most appropriate to convey their research. 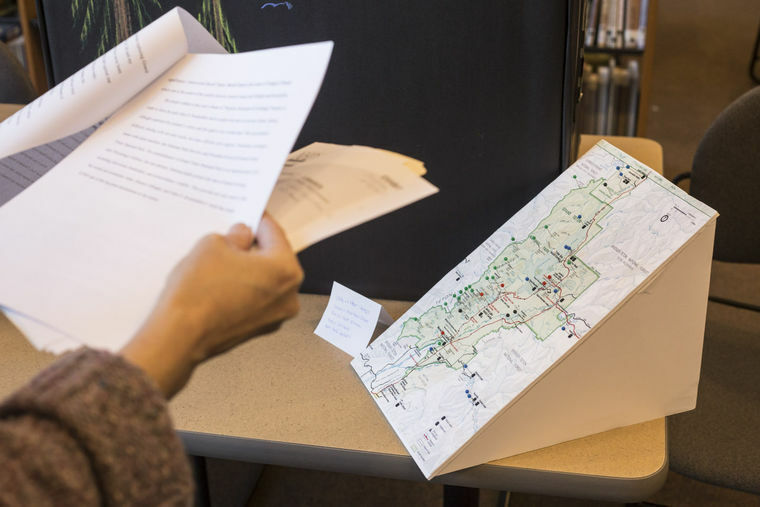 Rivkah Bar-Or’s interactive project on the creation of Grand Teton National Park featured a map of the park and iPhones displaying video interviews with sources. 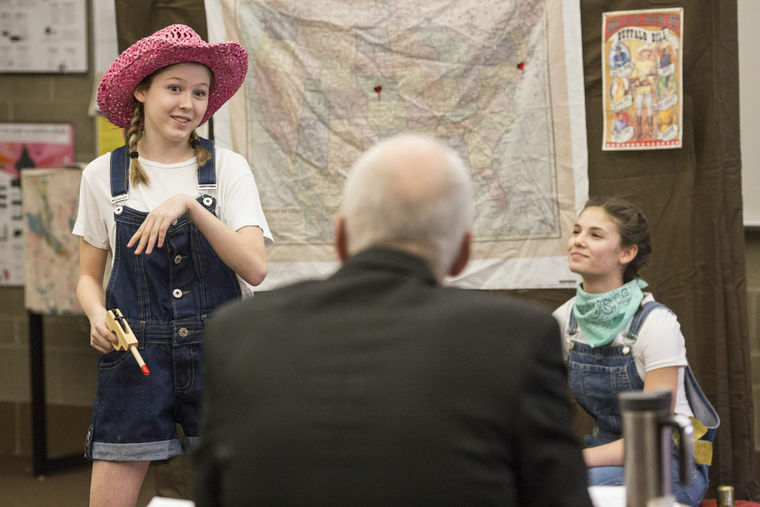 Jackson Hole High School freshmen Cyrena Keefe and Georgia Eidemiller act out their presentation on History Day about William “Buffalo Bill” Cody and his influence on the world’s perception of the American West. Former speech coach Mark Houser judges the students’ presentations. 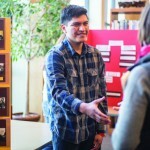 Fredy Hernandez thanks judges Feb. 8 after presenting his research on “The Black 14,” a group of African-American football players kicked off the University of Wyoming football team for showing solidarity with a 1969 civil rights movement protest. 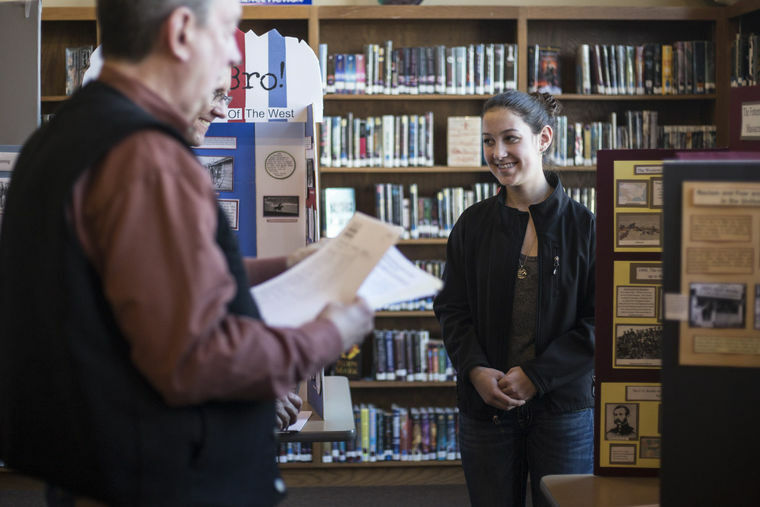 Morgan Vaughn, a freshman at Jackson Hole High School, presents her History Day research project on the Fetterman Massacre to Journeys School teacher Matt Daly and Steve Roberts, of the Jackson Hole Historical Society and Museum, on Monday in the high school’s library. 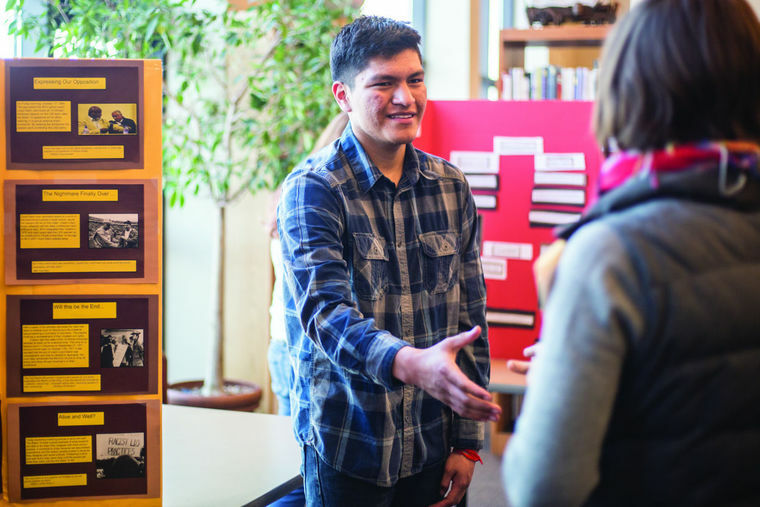 History Day has been part of the high school’s Honors U.S. History curriculum since 2002, giving freshman students a chance to explore Wyoming’s history.